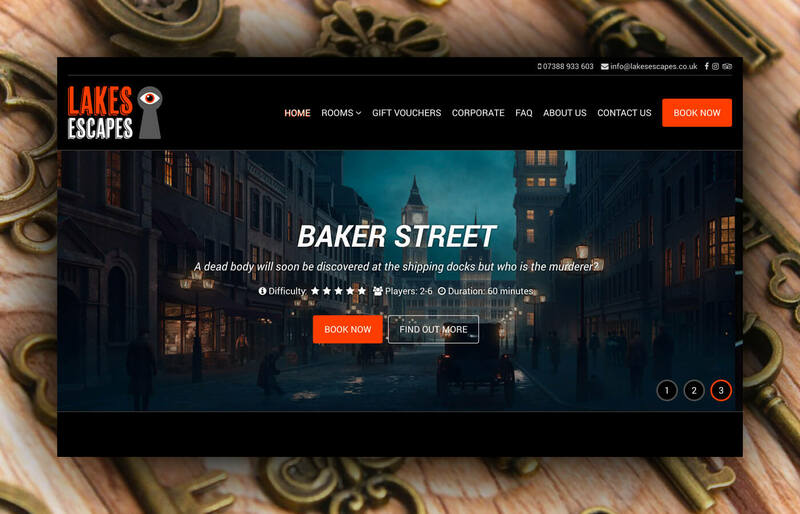 Lakes Escapes are proud to offer Cumbria’s premier live escape rooms. After several successful years, they decided to invest in both a rebrand and also relocation of their entire business. 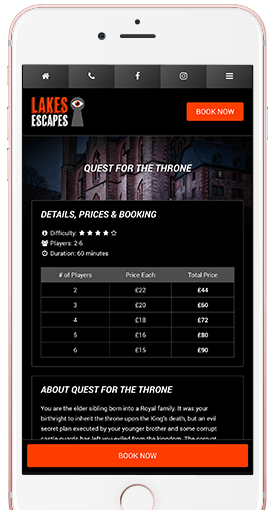 They needed a brand new website that would better display their amazing escape room games as well effectively as hand-off to their third party booking provider. 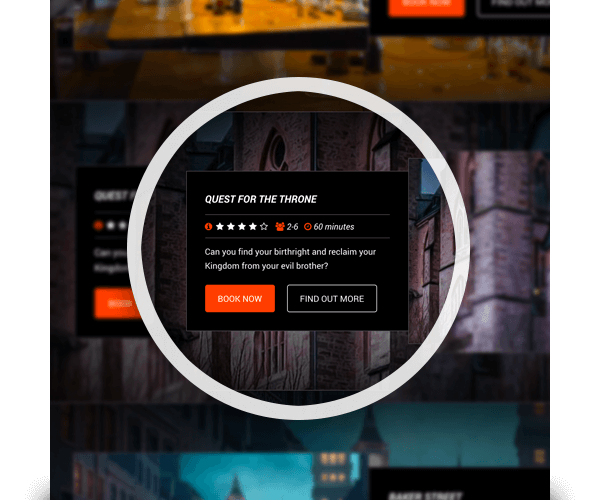 Each of the escape room games is showcased on the homepage, showing the details of the room and nice imagery, all overlaid on a parallax effect image background.